Pink nets before tacking. Italian 40 Denier, English 50 gsm, English 27 gsm. 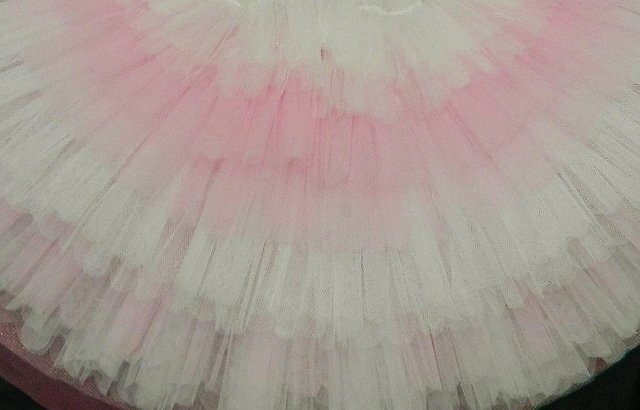 I am often asked about what type and weight of Net is best used in Tutus so I thought I would give a brief post on Net. Everyone does things differently and has different opinions but this is just based on my experience. I am discussing English nets in the UK and also Italian net. There are some good nets elsewhere in the world but I will talk about the UK. What might have been good enough 20 years ago is not the same now and likewise as Textiles evolve so the products change. Some for the better but some worse as stricter regulations are enforced in the Textile Industry so they are constantly trying to find ways to improve their products without sacrificing quality, but of course now having to use safer products to achieve the same results if not better. I will be talking about Pancake Tutus and the slightly softer ‘English’ Tutu in this section. Anyone with allergy’s knows using the older net produced rashes etc from handling the harsh chemicals used in finishing the net. I was certainly never told back then about the dangers of steaming the net and breathing in the chemical residues. Some finishes applied are important like the Flame Retardant applied to stop the net burning when exposed to open heat sources. With new laws in place in the UK that disallow harsh chemicals to be used in finishing the net, some of those hazards are no longer a problem. But you are left with net which is not as stiff and changes more with applying heat like steaming. You need to learn to adapt to this by changing methods and not OVER steaming the net. When you steam the net you are applying heat which is removing some of the stiffening properties that coats it. Over steaming removes too much and leaves the net softer. Before Tacking–English 27 gsm net in Briar Rose, Sealing wax and Italian net in Pale Pink. When you leave a Tutu in a damp environment it causes the net to soften as well so that is important when storing a Tutu. 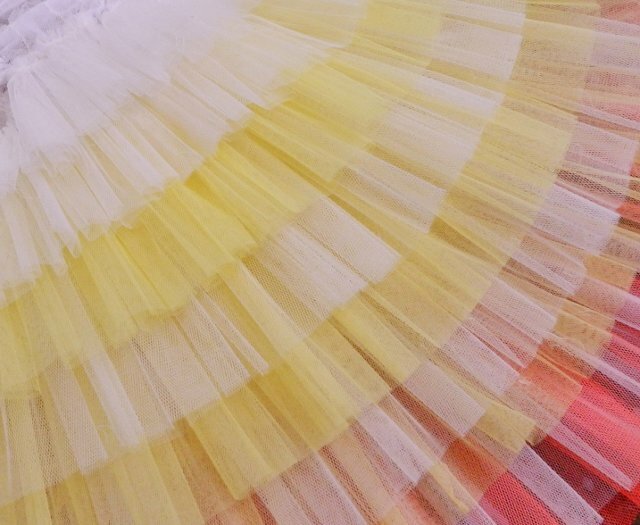 By using different qualities of net in a Tutu skirt and by learning about how gathering and pleating can enhance the stiffness and which layers are more supportive and require a much Stiffer net –so this will help you in building a better Tutu skirt. 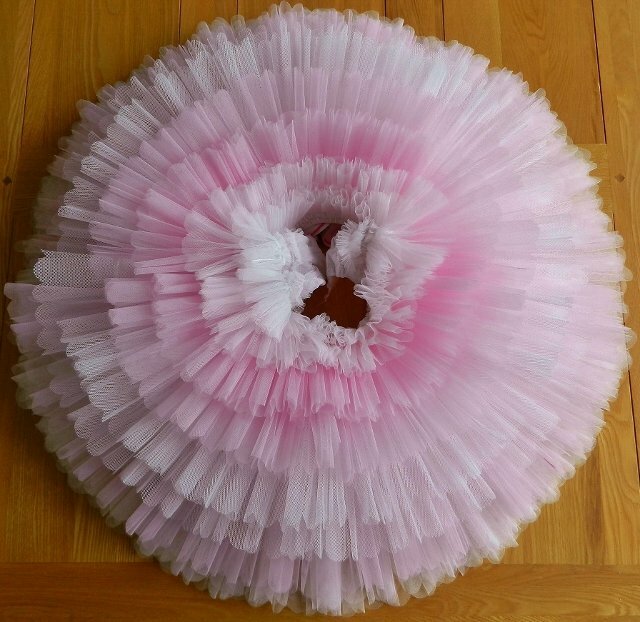 Professional Tutus are roughly handled and are used much more than Tutus for a festival or solo performance. You need to think about what the requirements of the Tutu are and also whether for a Child or Adult, Amateur or Professional. Once you have established that then you need to know how different nets behave before deciding which net to use. Very few shops sell good enough Net to use in Tutus. That is where the weight of the net becomes important as you can arm yourself with this information and so be better educated when it comes to choosing nets to use. Stiff net is around 27 gsm which should be the lightest net you think of using. Dress net which is found in local shops is usually around 15 – 18 gsm It does not have the same properties as the Stiff 27 gsm or 50 gsm net and will never be any stiffer even by pleating and adding a hoop. I think for fun costumes and dress up tutus that is fine but I am talking specifically about Proper Ballet Tutus in this post. Super Stiff net at 50 gsm is as the weight implies-a heavier net than the Stiff 27 gsm net. This is a better net for supporting the lighter layers. It can be awkward to use and scratchy so some Tutu makers won’t use it for when partnering is required as it can cut the males arms and face when he lifts his partner. This net is the Nylon Hexagonal net which behaves better than the polyester diamond shape net. Italian Net is made out of Polypropelene which is more resistant and lighter. 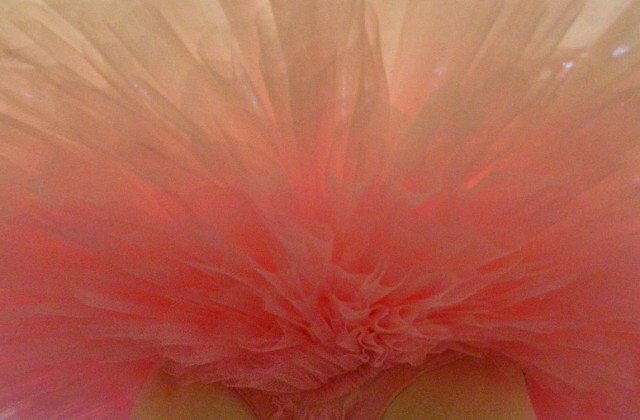 The 40 – 60 Denier weight is the standard for Tutus. Again you should change the method when using Italian net. As its lighter it needs more fullness so more widths are used. Double hand pleating a double layer adds stiffness. A supportive layer could be used of the Super stiff net if needed. There are different ways and methods and by experimenting and learning you will find your preference. Italian net is best left without steaming or using very little. But only by experimenting can you learn what suits you better.